Volkswagen UK have launched a national Scrappage Upgrade Scheme to help owners of pre-Euro5 diesel cars upgrade. Trade in your old diesel, whatever the make, and get up to £6,000 toward a brand new Volkswagen! 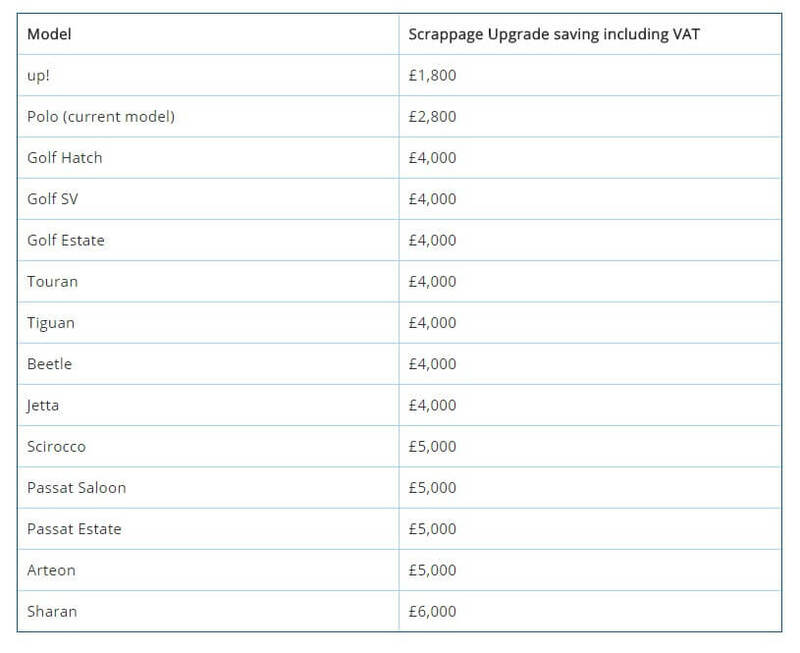 What is the Scrappage Upgrade Scheme? The Volkswagen Scrappage Upgrade Scheme launches today - 1st September 2017. Under the plan, drivers will be compensated for switching their older diesel car for a brand new car. With incentives between £1,800 and £6,000 savings are available against the majority of new Volkswagen models. 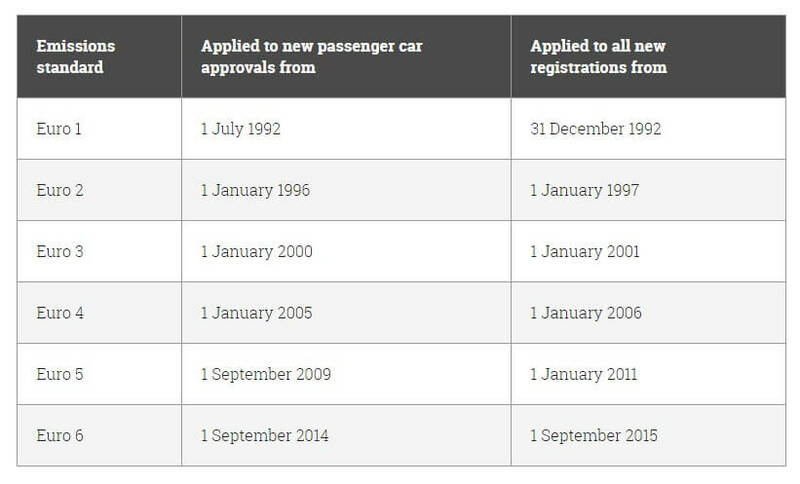 All qualifying vehicles that are traded in will be permanently taken off the road and scrapped. We are offering Scrappage Upgrade savings on many of our latest Euro 6 petrol and diesel cars, plus our class leading range of plug-in hybrids and full electric cars.